An overbite is the overlapping of the lower teeth by the upper teeth. In other words, the upper teeth protrude out and cover the lower teeth, which can lead to several potential problems, not to mention health issues. This often poses a series of questions. What causes an overbite? What problems are associated with overbites? More importantly. We’ll answer all of these questions, including overbite correction. The reasons why people develop overbites vary from case to case. In some cases, it can be just as much to blame on genetics as your eye and hair color. Sometimes, overbites result when baby teeth are prematurely lost. Early childhood habits, such as thumb‐sucking and extended use of a pacifier, are also common causes. While an overbite can develop from a variety of causes, overbite correction is often quite simple. Correction is also necessary to avoid further complication and issues. Aesthetics: As is the case with many other dental and orthodontic issues, overbites can cause patients to be more self‐conscious and embarrassed to smile. This can harm their self‐esteem, unless the overbite is corrected. Disease: Regular dental maintenance, such as brushing and flossing, can become less effective due to overbites. If teeth aren’t properly maintained, the chances of gingivitis and tooth decay can increase. Other Problems: Overbites can make chewing more difficult and the extra strain that is placed on the jaw and teeth could even cause a tooth to break. While braces are often the easiest way to correct an overbite, many patients ask if Invisalign works for overbites. This also poses the question, how long does Invisalign take? 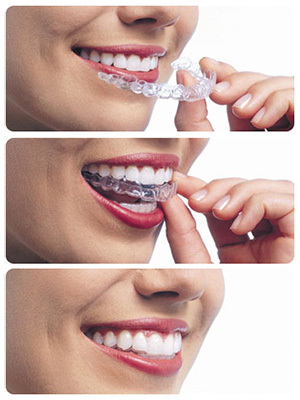 Invisalign can indeed correct some cases, but it depends heavily on the severity of the patient’s overbite, as does the treatment time. If you have any questions about overbite correction, or any other issue for that matter, feel free to contact us today. You can also give Kraus Orthodontics in Allen a call at (469) 619-9959 to schedule an appointment.